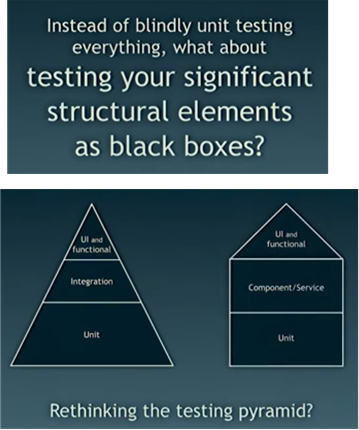 I just finished watching Simon Brown’s brilliant talk: “Software Architecture vs Code”. Instead of mandating 90 or 100 percent unit test coverage in order to create a high level of (false) confidence in your code base, perhaps you and your org should consider the potential silliness of the current obsession with TDD and writing huge unit test suites. Maybe you’d save some money and deliver your product faster. But then again, maybe not. Trumping Myself Up All About The Plunge!